The February TV war is heating up with Nine questioning the ratings success of TEN’s game show Family Feud, which moves to six nights a week from Sunday. But while Hot Seat and Million Dollar Minute may arguably be deemed quiz shows -and technically not game shows- Nine head of programming Andrew Backwell suggests the show’s ratings, derived from a simulcast on TEN, ELEVEN and ONE, are nothing to get excited about. “I don’t really talk down our opposition but if you look at Family Feud the interesting thing is it does half the numbers that Seven and Nine do in the slot. Nine does 1m to 1.2m with the News nationally. Family Feud does 500,000 – 550,000 across three channels,” he told TV Tonight. “So this is touted as one of the biggest hits on Channel TEN? It does half of what Channel Nine does in the slot and it’s across three channels. TEN maintains Family Feud has given the network its biggest audience in the 6pm to 6.30pm weekdays timeslot in more than five years. But Backwell points to increased costs involved too. “Personally I think they’re getting a bit ahead of themselves on the success of the show. In the slot (compared to) what they had there previously, obviously they have grown their audience there, but it’s a local production so they have grown their cost-base in that slot compared to what they had there previously. So your cost base goes up and your audience goes up a small amount,” he says. “I think it’s done OK but I think people have gotten ahead of themselves about its huge success. TEN’s Beverley McGarvey says the show is working and has no plans to end its simulcast roadblocking, despite calls for multichannels to offer alternative content. “It works and it would be crazy for us to on-pick something that works. We have a very robust schedule on ELEVEN and ONE, we offer a lot of first-run content and a lot of Australian content,” she told TV Tonight. This week Nine also premiered The Block on both Nine and GEM to 860,000 viewers. Family Feud begins on Sunday nights from 6pm this weekend. Why does Andrew Backwell need to comment? Because I asked him? Programmer’s Wrap features are imminent, it was part of a wider discussion. If Nine wasn’t concerned about FF they wouldn’t be talking about it. Also, I cant watch the news at 6pm as the family is getting ready for dinner. It’s far too graphic. Blood lust and bad news isn’t my cup of tea after a long day at work. It’s all online anyway, why wait until 6pm? With News now saturated in all facets and time slots of our media culture, it’s nice to have a bit of fun in the 6pm slot. 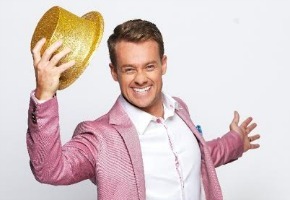 Good on you Grant Denyer, you do a great job! TEN needed to freshen up, their whole programming, and I think FF is a winner. Don’t read too much into this Nine are just bitter Tens Family Feud is doing better than their last version. Why? Grant is a young, enthusiastic host as opposed to Bert who naturally like anyone was probably losing that fire in the belly with age. Nine better watch themselves, I think they might fall in a big hole this year with a lack of new, creative content.